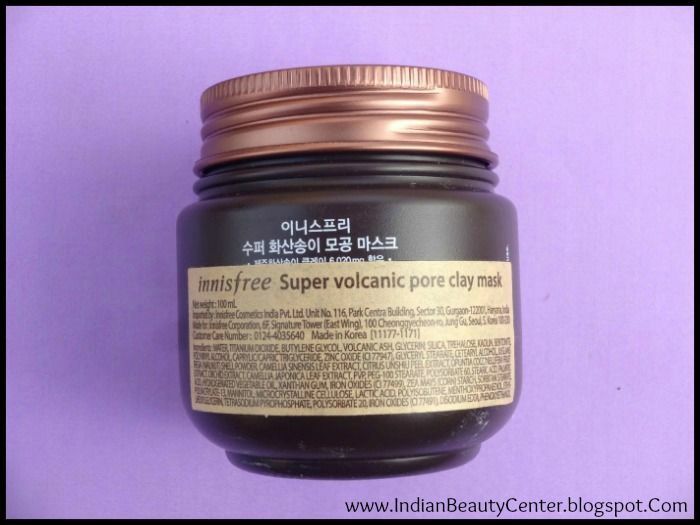 Product Description : Jeju volcanic clay is made with the Jeju volcanic mineral from the explosion of Jeju volcano. It's an alkalescence resource, categorized as a preserved resource, and is effective in removing sebum and other impurities. 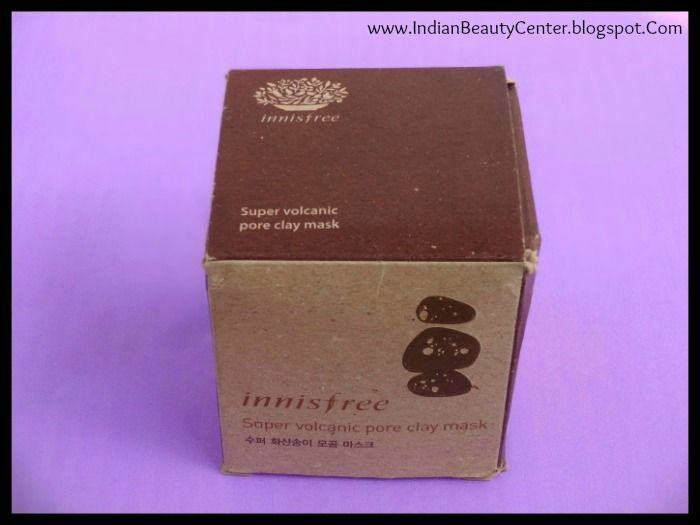 Innisfree Super Volcanic Pore Clay Mask comes in a chocolate brown tub with a beautiful copper colored lid. The mask is grey in color and has no characteristic fragrance. Also, this mask is really thick and does not drip at all. The mask is tightly packed into the beautiful container that comes in a cardboard box. Okay, so I have been using this for a couple of weeks now, twice every week. 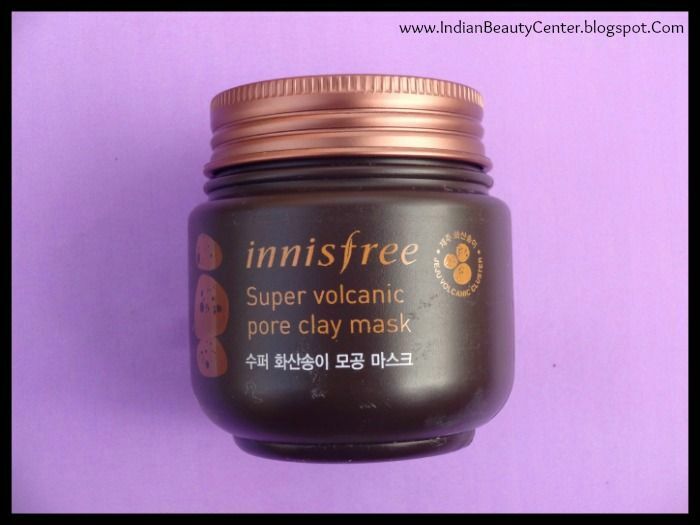 The most impressive thing about it is that it contains jeju volcanic minerals from explosion of Jeju volcano. So, I was really looking forward to try it out. I need a really small amount for each use as this spreads like a dream. It spreads extremely easily and a little amount covers a really large area. Thus, quantity provided is nice. I checked the ingredients list and unfortunately, this contains comedogenic ingredients like Palmitic acid, Stearic acid and Hydrogenated Vegetable Oil. However, this did not break me out. It's like a clay mask but way more expensive than that. Anyway, it dries in just 15 minutes and then, I gently remove it using a washcloth or wash it off using cold water using circular motions. Removing it is very easy and convenient. After washing this mask off completely, I feel that my skin looks brighter and glows. Also, my skin feels very smooth and most of the dead skin cells have been washed off from the skin's surface. My skin feels calmer and it does not feel rough at all. 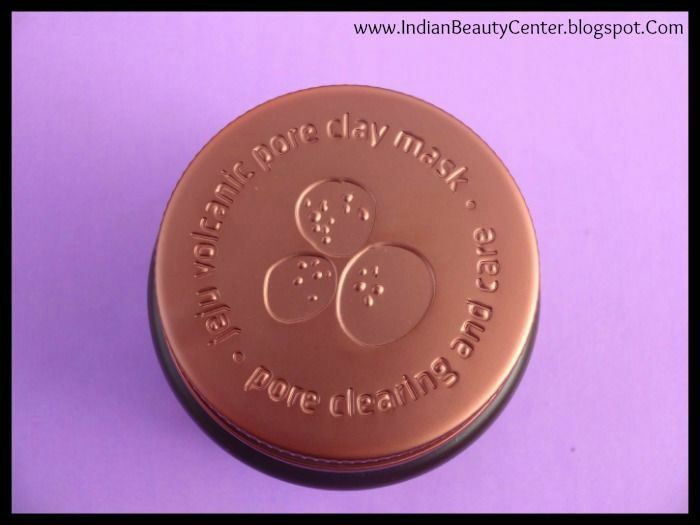 However, being a clay mask, it does dry out the skin but nothing that a moisturizer can't fix. So, it's doing it's job its pretty good. It never caused any irritation on my sensitive, acne prone skin and thankfully did not break me out. It does not remove blackheads, so do not expect that. Anyhow, it reduces oiliness on my skin and skin feels soft and smooth for upto3 days after usage. I think this should be included in weekly skin care as it unclogs the pores, making my skin soft and glowing. Does not lighten skin tone and all, don't fall for that trap. 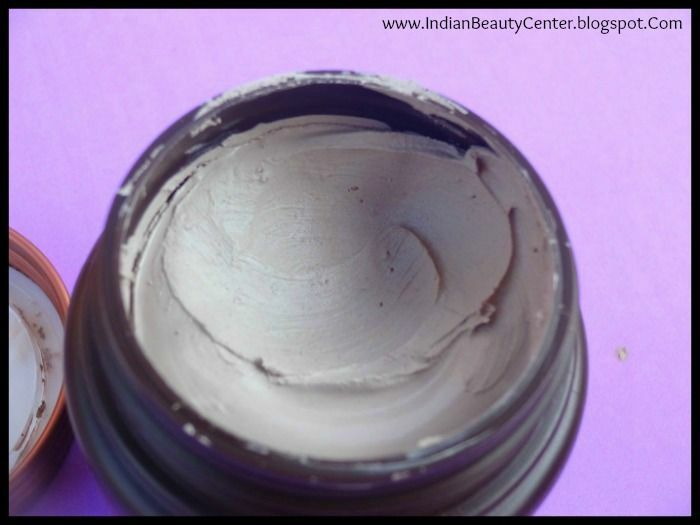 It actually cools down the skin and absorbs the excess sebum and washes it off. 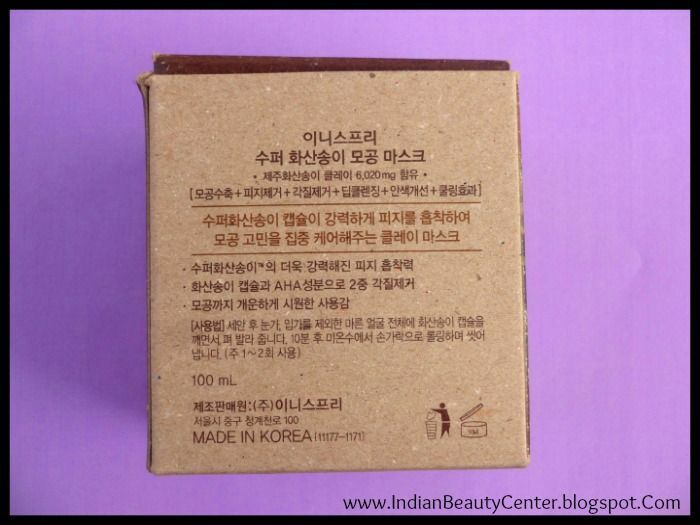 It can also be used as a spot treatment, applied only to the pimples and then rinsed off. It does not prevent pimples from coming back, but actually slightly dries them out. Overall, it leaves my skin squeaky clean and does dry out my pimples and removes excess sebum and clears off dead skin cells. 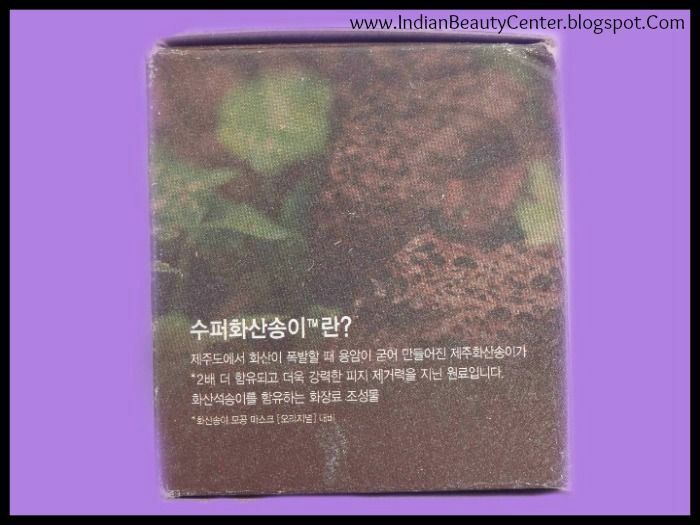 It is a gentle mask, so do not expect very deep pore clearing. Tub packaging is unhygienic but given the consistency, I doubt if this could be made available in a tube form. After using this, I see less oil on my T-zone and the oil control lasts for about a day and a half. Final verdict : It refreshes the skin and does make it soft and smooth and I definitely can see that. Also, it never broke me out and I always use a moisturizer after using this. All skin types can use this, but make sure to moisturize properly. 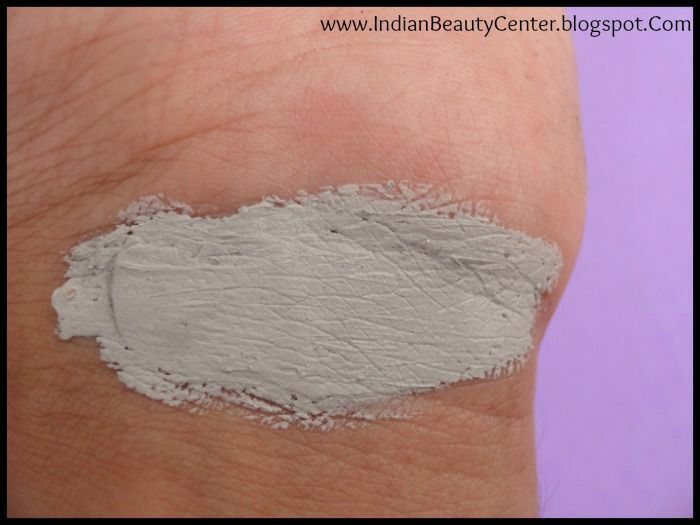 Removes dead skin cells, dries fast and brightens skin. Also, dries out pimples faster than they normally would. However, if you are looking for complete acne protection, then this is not for you. Just controls oil and keeps skin in a good condition but effects are temporary. I like it and I'm sure this would last me long enough! 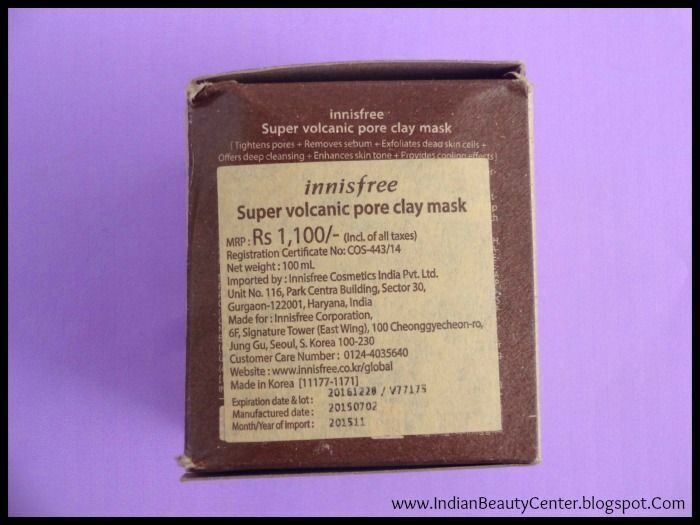 That was a very detailed review, I'll surely try this one from Innisfree. Thanks for sharing!